Are you looking for an engaging, interactive speaker to transform your event, meeting, or program into a truly memorable experience? 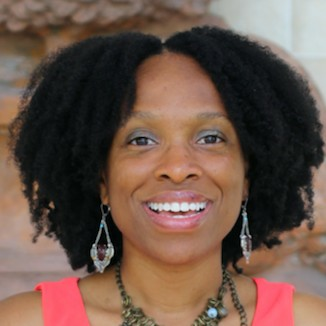 With a focus on perseverance, motivation, and preparation as it relates to leadership, career, transformation, entrepreneurship, education, and team-building, Daphne Valcin is a veteran group facilitator and has spoken effectively to small groups and has wowed crowds of thousands of people for over 20 years. Time and time again, after her engagements, organizational contacts have said they have never seen individuals so engaged and excited as a result of a speaker’s presentation. Many of them mention that she is the most engaging speaker that they’ve witnessed in years at their organization. Her first large-scale speaking engagement was in 1997 in front of an audience of around 400, and over the years, she has spoken in front of audiences as large as 6,000. Daphne obtained national training and certification towards her mastery in motivational speaking and group facilitation and has a passion for bringing groups together around goal attainment, team-building, and organizational development. After observing the struggles of youth and adults in her Miami neighborhood during her youth, including an influx of drugs and violence, Daphne always dreamed of one day being successful and becoming a community leader. She attended the University of Florida, where she served as her graduation commencement speaker, obtaining the University of Florida Summer 2006 Graduating Outstanding Female Leader Award and later attended the University of Pennsylvania, graduating with a 3.9 G.P.A. She is now a career and business coach and professional speaker along with being a proud wife and mom of 2 small children, who hit double her husband’s income in revenues this past April, all while working 25 hours a week as CEO of Daphne Valcin Coaching. Her coaching has resulted in business coaching clients increasing their revenues by more than 10 times and career coaching clients getting their first senior-level positions or successfully landing their dream job. As a community leader, she also started an organization in 2003 that has awarded over $30,000 in college scholarships to over 30 youth since the organization’s inception. As a seasoned mentor, motivational speaker, and certified group facilitator, who has literally facilitated growth opportunities for thousands of people across the country through her speaking for more than a decade, her goal is to ensure her audiences have the strategies and motivation that they need to move forward to meet and exceed their goals and produce results. Her own journey, from pushing through personal and community struggle to hope and possibility, allows her to successfully lead others to a place of opportunity, perseverance, and dream realization. ✓ Educational and Career Progression. "Daphne came in to initially work with my board on a number of issues that had been preventing our team as a whole from reaching its goals. Daphne was punctual, personable, and knowledgeable and connected with the entire team. She developed, led, and demonstrated team building exercises that helped our newly formed team engage and open up to one another in ways we could not believe. She helped us to stay focused, design a strategic plan, and understand we must set realistic goals based on time, human capital experience, and performance. We are so happy with the service Daphne provided. The knowledge, tips, and resources have helped us tremendously and for that we are forever grateful! I highly recommend Daphne to work with any nonprofit as she is the best I have encountered thus far!" To book Daphne Valcin for your event or for more information, call 202-695-2135 or email daphne@daphnevalcin.com TODAY! Find out more about Coach Daphne Valcin at http://www.daphnevalcin.com.